A few days ago the news was out that wrestling was deleted from the 2020 Olympics. I fear most North Americans did not spend much time watching it, but that is a shame. Amateur wrestling is not the theatrical version that has taken over our culture. While thinking about this I watched Carol Huynh, an Olympic gold medal in woman's wrestling ably defend a book on Canada Reads. One of the very most impressive athletic feats I ever saw was while attending University of Guelph. My interest in wrestling was not very strong, but it was one of the few sports that Guelph excelled at. I watched Ed Millard in the heavyweight category go up against a big wrestler who had played professional football. The bigger man (by 40 pounds as I recall) at one point early in the match picked up Ed Millard and it looked like he was going to throw Ed down. However when they came down Ed was on top and quickly pinned the guy. Ed made it to the Olympics, but I don't recall him coming close to a medal. Lambton Hall, my residence attracted a lot of interesting characters. Stan Jemec was a floor mate at one time and I learned he had in a dual meet wrestled in 3 weight categories. He lost weight to drop down one weight class and won, wrestled in his own weight class and won and most amazingly won in the weight class above him. That is strength and skill. Another wrestler from Lambton Hall had lost a match to an older amateur although he had been winning until he made a mistake. This older man (I would say about 60) had been a Greco-Roman wrestler where the emphasis is above the waist and when he got his opportunity he was able to reverse and pin his younger opponent. That shows that skill and experience is very much a factor. My Guelph wrestling heroes inspired me to watch the sport in the Olympics and start to appreciate the skill. A lot of grunting and sometimes it seemed truly tortuous but in the end strength and skill triumphed. Wrestling started in the ancient Greek Olympics in 708 B.C. It was later made the decisive event of the ancient pentathlon. Wrestling was included in the modern Olympics starting in 1896, with an omission in 1900 and then continued right up to the 2012 London Olympics. Free style wrestling added in 1904 and a century later women's wrestling started. 29 different nations shared wrestling medals in the 2012 Olympics. Recently it was pointed out that wrestling is one of the few things Iran and the United States can agree is important. Americans were in Teheran this month for an international wrestling tournament. Ping pong helped warm up American relations with China, perhaps wrestling can help thaw out relations with Iran. Wrestling is a very popular sport at a participant level. In 2006 wrestling was the 6th most popular sport in American high schools with girls just getting started. A problem is that professional wrestling has become a spectator theatric that in some ways detracts from participation, but also makes real wrestling seem boring. Tv ratings is a major factor in choices by the Olympic committee. Skimpily clad women beach volleyballers do disproportionately better. There are actually an increase in the number of combat sports and each has its own merits, but wrestling is very basic and accepted around the world. Doesn't require special equipment like bats or balls. Elevate Olympic wrestling and it will encourage physical fitness. A good wrestler is something to behold. Maybe more of us have to understand and appreciate it more. It certainly reminds me of some good times in my student days. Working for The Rider and loving movies it seemed a good idea to re-visit some favorite movies featuring horses and check out some of the missed ones. 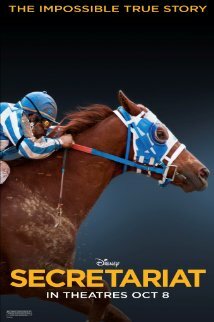 A non horse friend, Barb Martin recommended "Secretariat" and that motivated me to check out more horse movies. If you watch anything set before 1900 that isn't all indoors you will see horses as that is how people and the goods they wanted got around. In Westerns horses played more of a supporting role, taken for granted, but every now and then taking a spectacular fall. Some of the cowboy heroes had their favorite horses, Silver, Trigger, Champion, Diablo, Topper. Speaking of spectacular falls an interesting movie (actually made for tv) is "The Englishman's Boy." Originally a novel by Guy Vander haeghe who had a minor role in the film. Back in the 1920's westerns were very popular and movie producers were always trying to add excitement. We watch an action scene being filmed and a number of horses are seen falling supposedly from gunshot. However we are permitted to see that actually they were tripped by wires and afterwards some of the horses had to be put down. The reaction of one character to this cruelty became one of the focal points of the movie. Today there are trainers that coach horses and riders a way to fall without injury. It is an interesting movie that delves into aboriginal conflicts in western Canada as well as Hollywood westerns. Secretariat was a quick pick that I had not seen before. I knew he won the Triple Crown, but not much more. The set up was a little discouraging (but really isn't that what movies are all about, overcoming adversity?) in the beginning with the decline of a horse owner. The new owner Penny Chenery Tweedy was really the heroinne as she stuck to her guns when many suggested she sell off her father's estate and horses. She fired a trainer she felt had a lack of positive attitude. She ended up hiring an eccentric Canadian, Lucien Laurin and later a Canadian jockey, Ronnie Turcotte. One of the stories within a story was to do with breeding. Most people seem to value the pedigree of a stallion more than a mare, but Penny felt that the mare was equally important. Her father set up an unusual breeding program where he got the services of a proven stallion, but instead of paying a big buck he offered two mares and the stallion owner (who in this case was the richest man in the US) his choice of the two foals. Penny thought the mare with the history of endurance would be the better choice and even though she lost the coin toss she got what she wanted. Another important detail was raising money by selling breeding shares, something that had not been done before, but raised enough money that she could continue. The reason the movie was made was that Secretariat did in fact win the Triple Crown, after a little bit of drama. The movie reminded us that Secretariat set record times in doing so and went on to return the investment many times over. 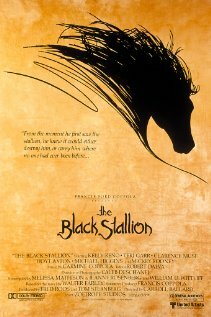 The Black Stallion is a fictional account and admittedly improbable, but a more touching movie. We are introduced to a wild horse being harshly handled on board a ship. A young boy attempts to befriend the horse, but is rebuffed by handlers. A shipwreck sees the stallion and the boy marooned on an island. Over a period of time they befriend one another. During this period little is spoken, but much communication occurs. To me this was the most wondrous part of the movie (and one of the best ever) with a combination of riding in the sea and what they tag as water ballet. Music by Carmine Coppola accompanying the water ballet is very attuned to the mood. A very beautiful setting which in reality is in Sardinia. Kelly Reno, playing the young boy was very believable as the role required someone who had a lot of experience around horses from a very young age. He was from Texas and started riding very young. The second half of the movie gets back to the racetrack. The young boy stumbles on Mickey Rooney, a horse trainer who has stepped aside, but becomes very excited about the Black Stallion. The climax of course is a stirring victory from way behind. It was filmed at Fort Erie racetrack which unfortunately has gone through a lot of turmoil involving the casino down the Niagara River. "The Horse Whisperer" is not only a movie I had seen, but a book I had read and even an event I had watched. "Breaking horses" was a term I heard when I started selling ads for The Rider, but didn't really comprehend. I read a book about Monty Roberts and then the novel by Nicholas Sparks and then I actually watched Monty, work with a horse who had never been ridden before. Monty known as a real horse whisperer was a revelation changing the concept from breaking to "joining up." I can see his objection to the movie and I can also see why they kept a certain scene in. Monty's objection to the movie boiled down to the fact that the hero, a supposed horse whisperer at one point used violent means to accomplish his goal. As I understood the movie there was an emotional element where Robert Redford wanted to impress Kristin Scott Thomas when her husband was about to visit. The idea was that he was desperate and broke his own rules. Not a good example of how to gentle a horse, but probably a human trait we all struggle with. There is contrast between nature as represented by someone who can communicate with horses and modern urban society. 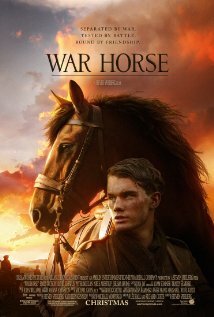 "War Horse" takes us back to WWI. Mechanical transportation and modern weaponry started to make horses an historical curiosity. Before Alexander the Great, horses made a critical difference in killing our enemies. They covered distances much faster than infantry, carried heavy equipment over rough terrain and gave warriors greater leverage from a higher position. As technology advanced horses were no longer the critical difference in a battle. Steven Spielberg produced and directed "War Horse" based on a book. A play appeared before the movie and was praised for how they used mechanical devises to simulate horse action without detracting from the dramatic elements of the story. 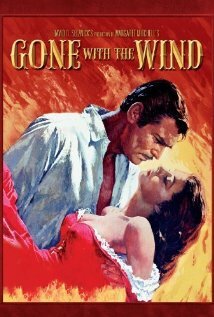 The movie version was beautifully filmed with lots of violent believable war action and horse movement. 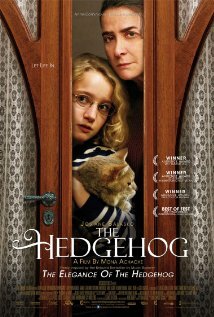 The story was sentimental and captured most of us soft hearted animal lovers with its improbable story line. 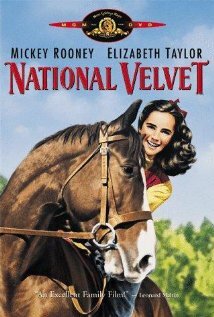 National Velvet helped launch the career of Elizabeth Taylor in 1944. Mickey Rooney was actually the big name star and here he is playing an ex jockey who helps train a horse for the Grand National Steeplechase. A young Monty Roberts did stunt riding for Elizabeth Taylor. In North America we are not used to the steepechase jumps with ditches and all, but it does add a lot of spice to the action. 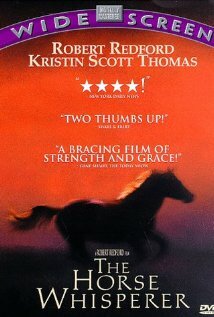 As a kind of a throw in I picked up a library DVD titled "The Wild Stallion" which is suitable for 10-12 year old girls. The best part was a 10 minute special feature of wild horses accompanied only by gentle music. Very enjoyable. Horses are beautiful to watch so if any of you readers have suggestions they are more than welcome. 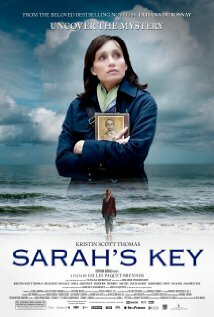 "Sarah's Key" made me conscious that a book gets into the thinking of the characters more than a film. I think the general theme of the book did get through with the performances and technical aspects being good. From the movie trailer the shock was that the French were complicit in the Holocast. In both the book and the movie that connection is slowly built up. As in the books the modern day journalist efforts are paralleled with an experience in Nazi held Paris. The journalist realizes that her husband's family was intimately involved and buried the emotions connected to it. The mystery is carried into modern times while the obsessive journalist tries to track down Sarah. Her own family problems become entangled. Kristin Scott Thomas, most famous for "The English Patient" is an actress I have watched in a variety of French movies. As she is bilingual it is natural for her to play the American journalist married into a French family. The actors all make you feel this really happened and the director holds everything together. Sometimes when you watch a movie you learn little cultural things that stick, even if trivial. At one point a musical toilet startles you and later learn that it is a "Japanese thing". 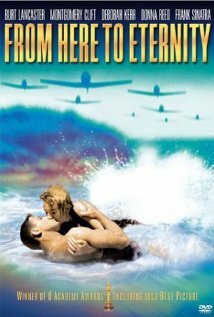 The ending of the movie if anything reflected the book's ending in an even more effective manner. It will disappoint those hoping for a Hollywood ending, but actually it makes a point about life. The music running over the end credits is contemplative. Throughout the movie, the music by Gabriel Yared was good to set the mood and my favorite parts were melancholic with cello and piano. "delicacy" is the last movie from the three books. It is unusual in that the author, David Foenkinos teamed with his brother Stéphane Foenkinos to write the screenplay and direct the movie. Audrey Tatou as the leading lady is always delightful. I had seen her co-star, Francois Damiens playing a bumbling brother in law in "The Heartbreaker". In the book were accounts of a lot of trivialities that are part of life and relationships. The brothers brought in Émilie Simon to write and sing the music which added some emotional support. The movie captured some of the quirkiness of the book. It is common to put uncommon people together and "Delicacy" gives another version. A young attractive widow from an ideal marriage meets someone not noticed by other people and and somehow responds to his awkwardness. In the real world we are often amazed and wondering what does she see in him or what does he see in her? One of life's great wonders. An enjoyable romance with good humour. Movies are often inspired by books. Books are always deeper and movies are selective in capturing the mood. A good director takes the essence of what the book is trying to convey in a relatively short time. The director has the advantage of a crew of people including actors, cinematographers, costume, make-up, special effects, music, etc. etc. The writer has the advantage of our imagination. Like many people if I like a movie enough I am anxious to read the book to get the fuller story. Sometimes it can work the other way. I am glad that I read these three books first as reading gives an idea of the depth. The movies in some ways did capture the essence of the original author and inevitably were forced to leave out some explanation that the reader could appreciate. For some reason the French are coming up with some top movies, "The Intouchables" was one of my top three for 2012 and one that seems really attractive is "Rust and Bones"
Jonathan Haidt's guest appearance with Bill Moyer impressed me with his understanding of how people cling to their beliefs in the face of logic. He even said that those dastardly conservatives have a legitimate viewpoint. After the 8 days it took me to finish it seems the best book I have read so far this year. In "The Righteous Mind" he builds his case carefully. Jonathan has an interest in philosophy, psychology, morals, sociology and politics. Like many observers he has been dismayed over how polarized politics has become in the United States. Evolution plays a key role. It is thought that every human trait is there for its survivability value. Much thinking has focused on individuals, but increasingly it is realized that individuals survived who could fit into groups. The first groups of people were essentially equal and were very careful to not let anyone slack off. As groups got bigger it became possible to have a division of labour that made them more effective. A more cohesive group could dominate lesser groups and survive difficult times more effectively. One of the most important factors became religion. The key was not so much the specific beliefs, but that members felt a sense of belonging that encouraged them to support other group members that were not close kin. Some of Jonathan's thinking came from Emile Durkheim who was the founder of sociology which essentially deals with group social pressure. A key definition which comes near the end of the book, after a lot of preliminary explanation is "Moral systems are interlocking sets of values, virtues, norms, practices, identities, institutions, technologies and evolved psychological mechanisms that work together to suppress or regulate self-interest and make co-operative societies possible." We don't always understand from what moral system other people operate from and we would benefit if we could really appreciate they really feel they are right. Joanathan feels that three main segments of American politics; liberalism, conservatism, and libertarianism all have a role to play. Too much conservative control and society doesn't make the necessary changes. Too much liberalism and things can get out of hand. It is healthy that each can balance with the others. Compromise is more likely to come after each group realizes that the opposition is not totally wrong and in fact are a healthy check. One area where conservatives and liberals see things differently is fairness. From a liberal perspective they are well aware of disadvantaged groups and strive to remedy the inequalities. From a conservative viewpoint they feel it is unfair that some people do the work and others take advantage of the rewards. These two views can be reconciled better if each side realizes the other side does in fact have a strong sense of what is fair. It is hard to realize that my underlying moral philosophy might not be totally right and that other person might not be totally wrong. Progress will occur as we respect each other. On the link below you can connect with a website devoted to this book that includes videos and blog posts. vegetarians and very social. I read last year that elephants share at least one human emotion, that of grief. We humans like to think we are unique, certainly from the animal kingdom. 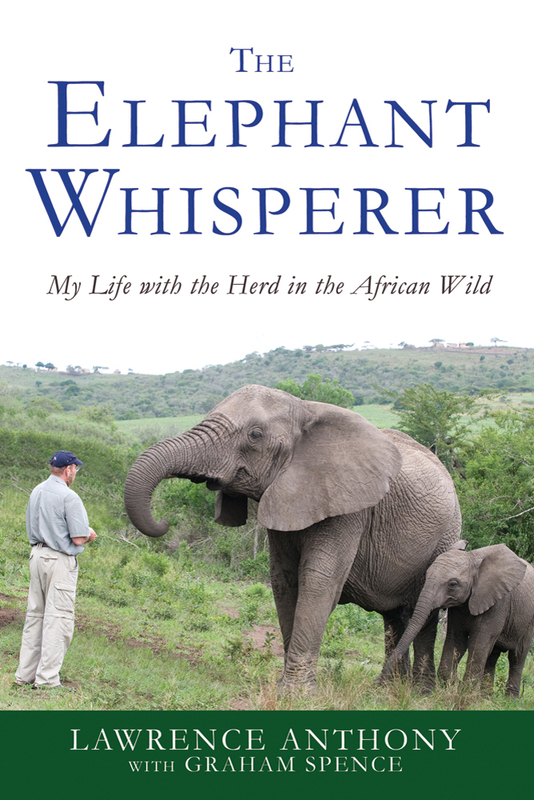 The emotional life of animals is becoming more studied and as part of my interest read two books focusing on elephants. Lawrence Anthony grew up in Africa and decided he wanted to develop a wild game reserve. He didn't originally envision elephants, but was given a call about a troubled wild herd. Part of the herd had been killed and a trophy hunter wanted to buy the survivors. Conservationists wanted to provide a sanctuary for them. Lawrence, having no experience with elephants agreed to help out. At first the elephants were traumatized and were determined to escape. On their first attempt Lawrence learned a few things. They are clever and figured out some of the aspects of the electric fence and were able to neutralize it. He took steps to solidify containment, but also decided to get to know them better. He was quite impressed how they knew their way back hundreds of miles; could be separated, but find each other again. Lawrence experienced fear and anger from the elephants, but gradually they came to trust him. The leaders actually became protective of him. At one point he witnessed how they tried to revive a dying infant elephant. The herd is controlled by females. In this particular herd there were no adult males and the one adolescent male was ostracized. When Lawrence won over the dominant female gradually the others were managed. They were left in a very vast area. After they developed a friendship with Lawrence they seemed to know when he was returning from long business trips. They seemed to have a way of communicating. He mentions stomach rumbles. A myth he discarded was the common one of an elephant grave yard that they seek when they realize they are dying. As elephants age their teeth decline and they seek out softer food to eat. This often puts them in wetlands where they will usually die. "The White Bone" is a fictional story of elephants where the Canadian author, Barbara Gowdy, has attempted to get inside their minds. It seems like a complicated family with a few oddities. Smells seem much more dominant. Females and males lead separate but overlapping lives. Dung and urine are objects not only of medicinal value, but also nutritional value and indicators both natural and non natural. They are in conflict with humans who they call hind leggers (from an animal viewpoint we walk on our hind legs) and desire to avoid. Drought is also a problem the elephants contend with as most of the book they are seeking shelter from the disasters of men and of drought. There is a glossary at the front which translates elephant words into more familiar human words. After finishing the book I discovered a Wikipedia article that gives a list of characters and their role. The book can be confusing because of similar names and often you realize a word used doesn't make sense until you check it against the glossary. We are still learning about life forms that are closer to us than we have acknowledged.